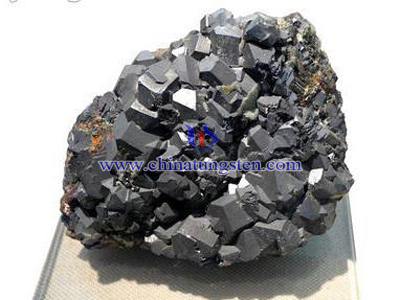 The microstructure, the phase structure, nonlinear electrical properties and dielectric properties of rare earth doped WO3 have been studied and following are the main conclusions. (1) Rare earth doped affects the growth of WO3 grains. A small amount of Gd and Ce doped has restrictions on grain growth, while heavily doped contributes to grain growth. Dy and La doped contributes to WO3 grain growth. Yb doped WO3 restrict the growth of crystal grains. The grain size of the sample is substantially between 10 ~ 20μm. EDS analysis showed that the main adulterants doped out at the grain boundary. (2) Rare earth doped can significantly inhibit the generation of triclinic phase WO3 and make WO3 single-phase, thereby improving the ceramic electrical stability of WO3 at high electric field. Rare-earth doped can reduce ion transport in the depletion layer, so that the sample also has stable electrical properties at low electric field, indicating that WO3 has good prospects in the field of low voltage. 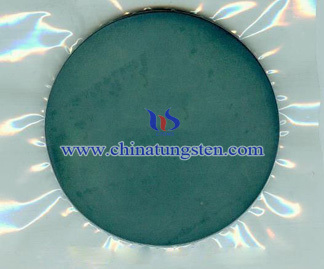 (3) Rare earth doped WO3 ceramics have a low varistor voltage and the barrier voltage, therefore WO3 is particularly suitable for low pressure varistors. 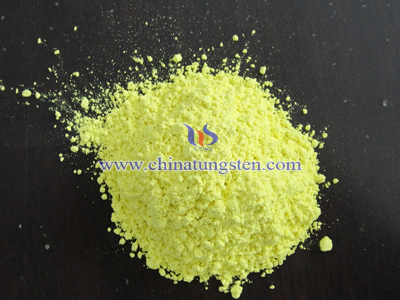 (4) Rare earth doped can not improve nonlinear coefficient of WO3 ceramics. Nonlinear coefficient is substantially in the range of 2 to 5. (5) Rare earth doped can increase dielectric constant of WO3 in varying degrees, on the whole, which can be improved about one magnitude. Increasing the dielectric makes WO3 more suitable for Capacitive - Varistor Double Functional Materials. (6) Samples doped with Dy and La have a special grain boundary phase. Rod material occurs at grain boundaries of La-doped sample that make the barrier between the grains disappear, so the sample shows a linear voltage characteristics. Grain boundary resistance of La-doped sample is less different from the resistance of the grain, but still has a large dielectric constant, indicating that the normal grain boundary barrier layer capacitor model (GBBLC) cannot well explained the phenomenon that La doped samples have a high dielectric constant. 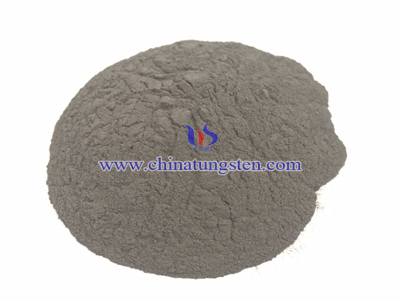 (7) Rare earth doped WO3 ceramics Schottky barrier model is proposed. The results show grain boundary barrier of WO3-based ceramic has the similar properties of ZnO grain boundary barrier. (8) The high-temperature electrical behavior of Tb doped WO3 ceramics has been studied. 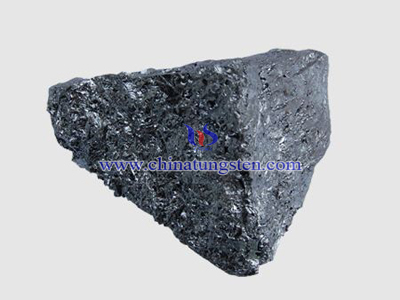 Sample still has some non-linear electrical characteristics at high temperature of 300 ~ 500 ℃. Two phases coexisting at a high temperature is considered to be the non-linear sources. 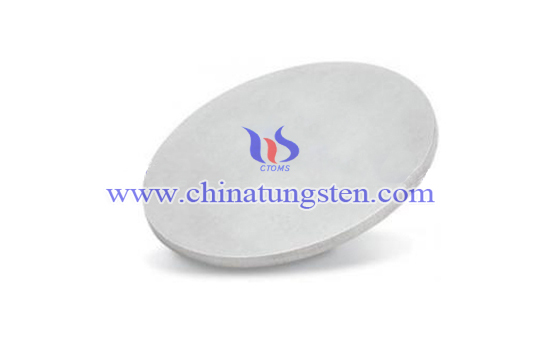 (9) Tb doped WO3 ceramics have some hot electric current output at high temperatures when no external field, this electric current is neither induced by the thermoelectric effect, nor a simple pyroelectric phenomenon. The act of which is like a direct thermoelectric conversion cells. Therefore we believe that this extraordinary thermoelectric effect may become new ways of heat energy -electrical energy conversion.